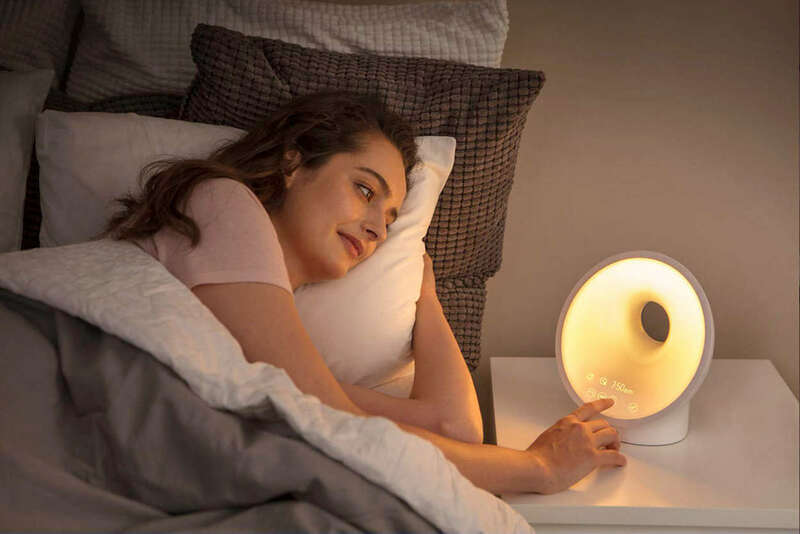 Enjoy a restful sleep with the Philips Somneo Sleep and Wake-Up Light, which helps you wind down by using lights or sound. 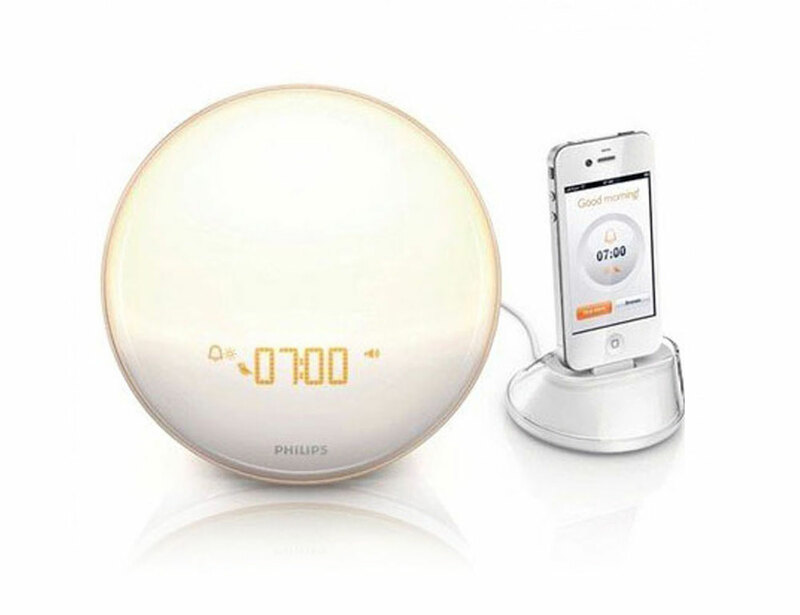 Enjoy a restful sleep with the Philips Somneo Sleep and Wake-Up Light. 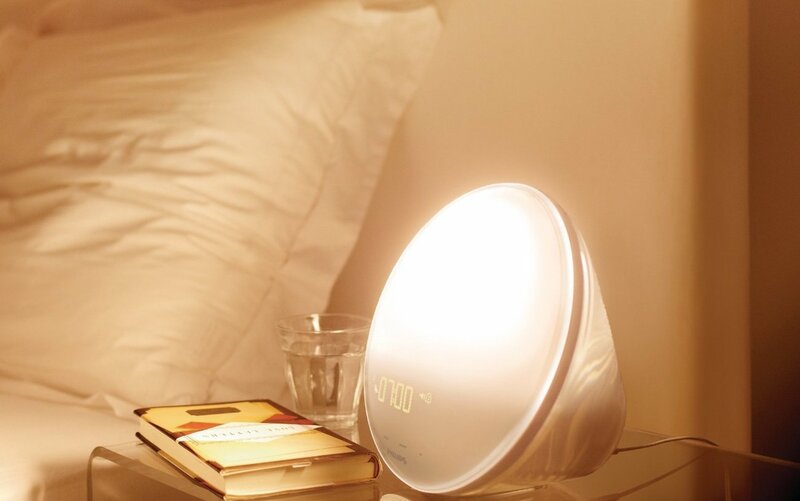 With this light, you can easily fall asleep using the RelaxBreathe function. 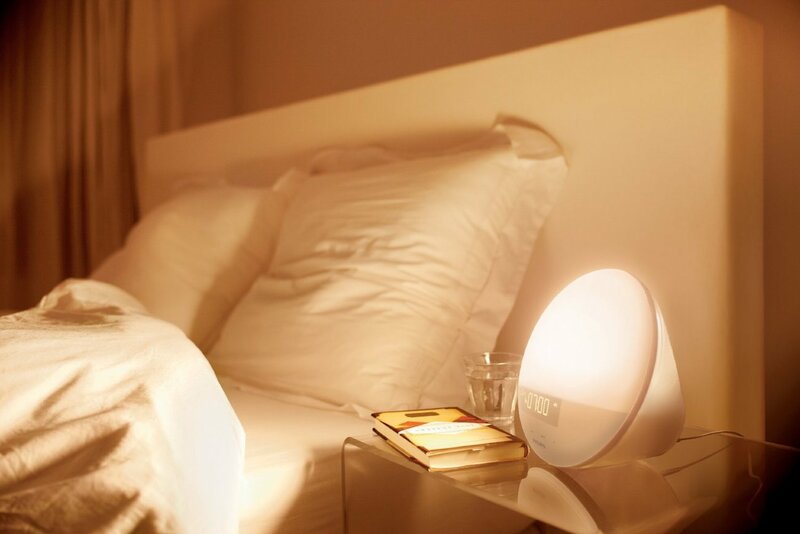 This helps you slow down your breathing by using lights or sound as a guide. 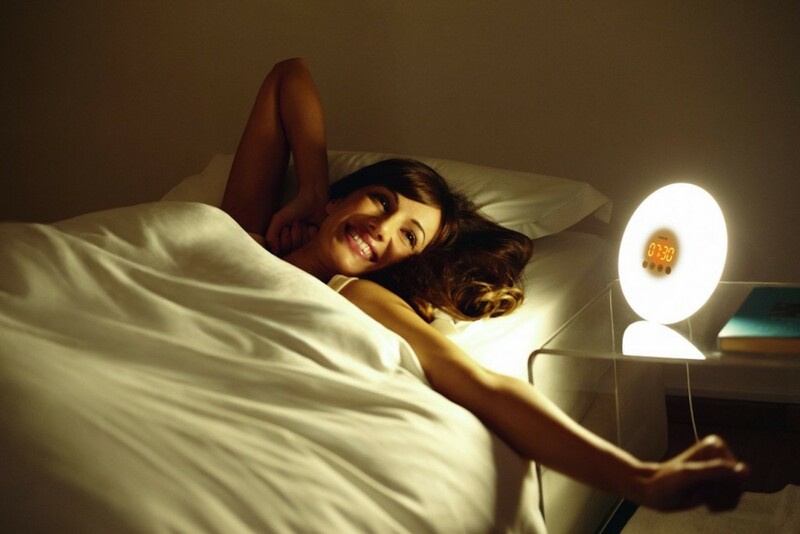 Additionally, it helps you relax before bed while the sunset simulation prepares your body for rest. 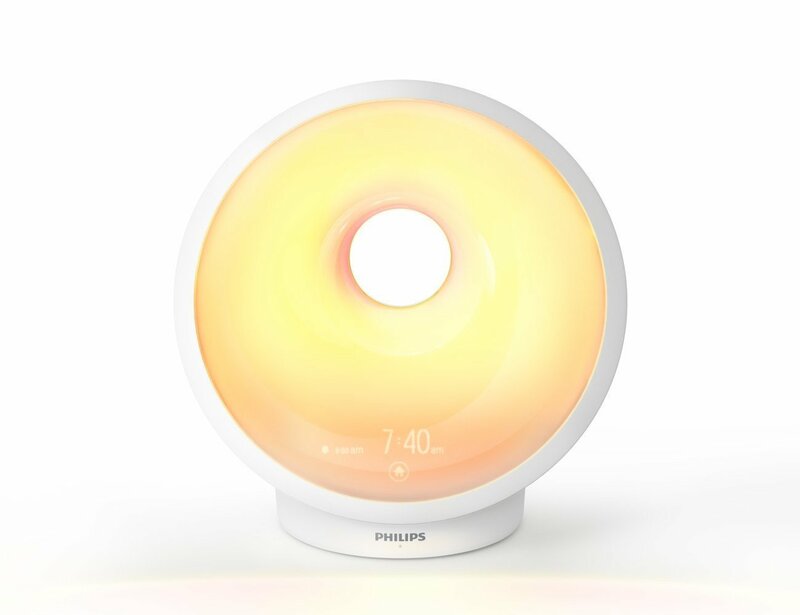 Likewise, the Philips Somneo also simulates natural sunrise, gradually increasing light in your room before you wake up. 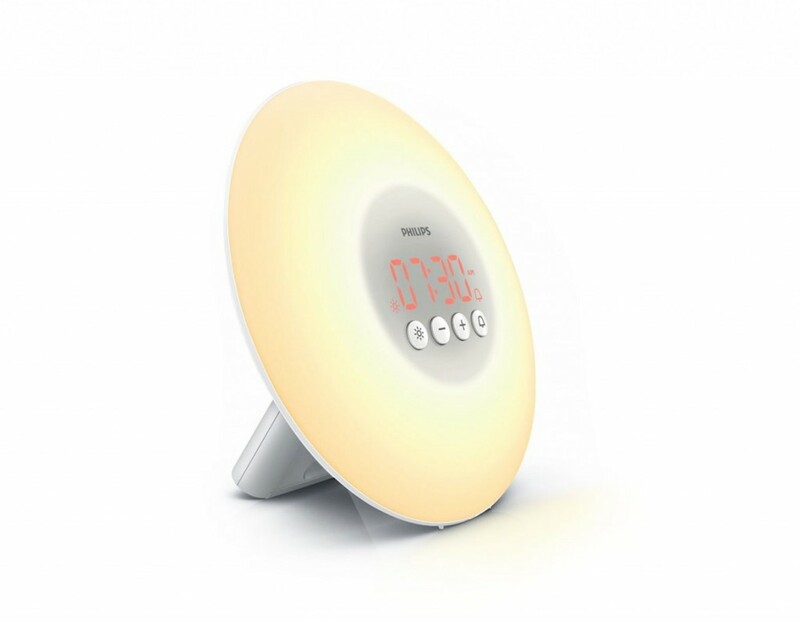 You can choose your favorite brightness level from multiple intensity options for a truly personalized wakeup. 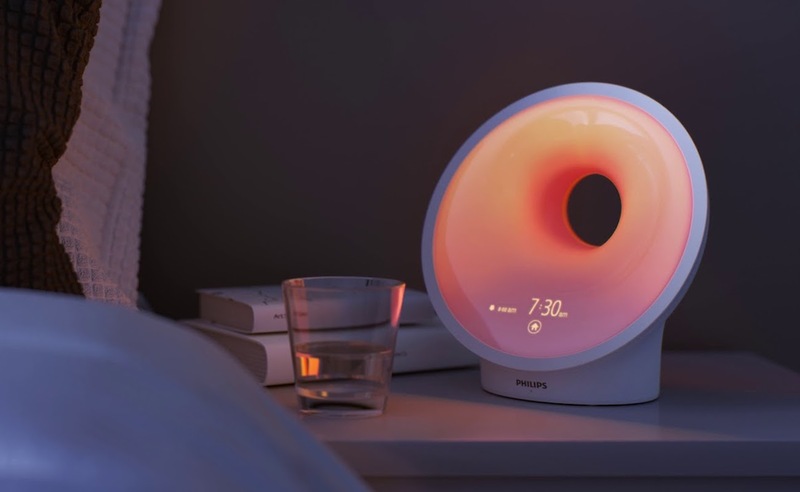 Furthermore, you can even wake up to various music and sound options, including natural sounds, ambient music or the radio. 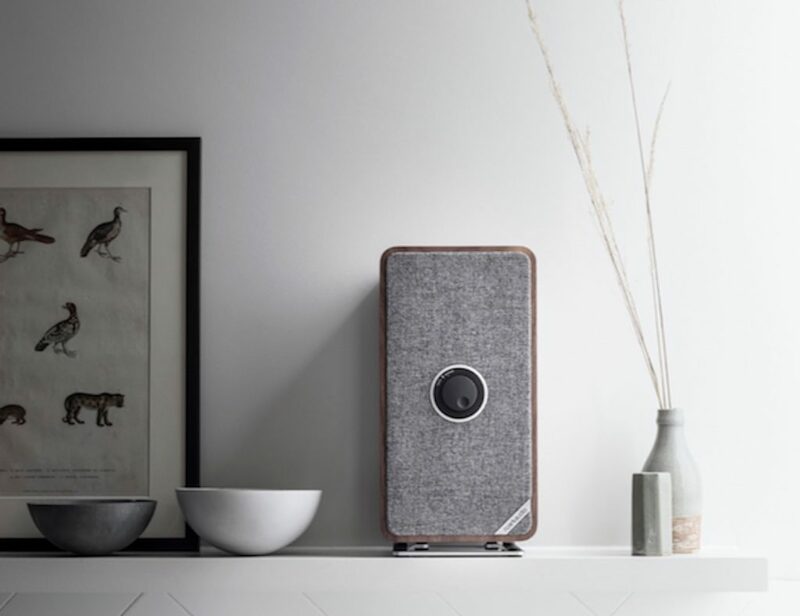 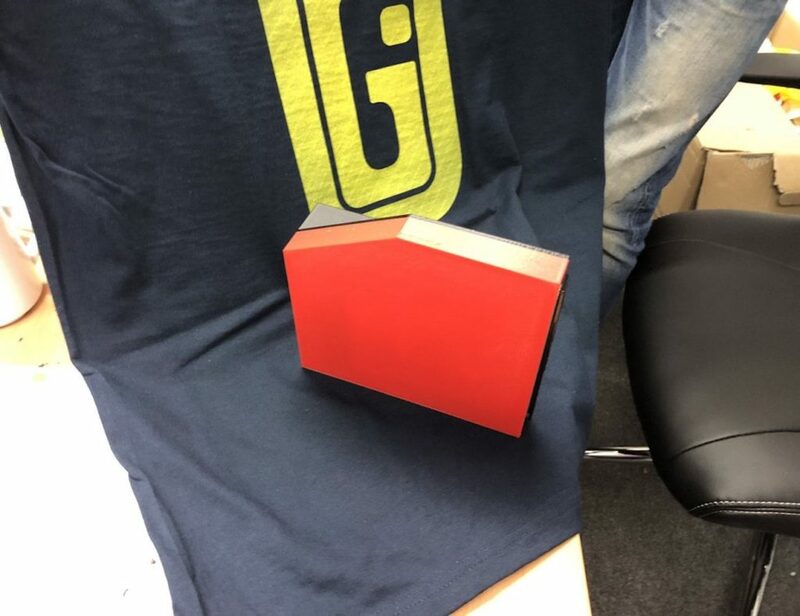 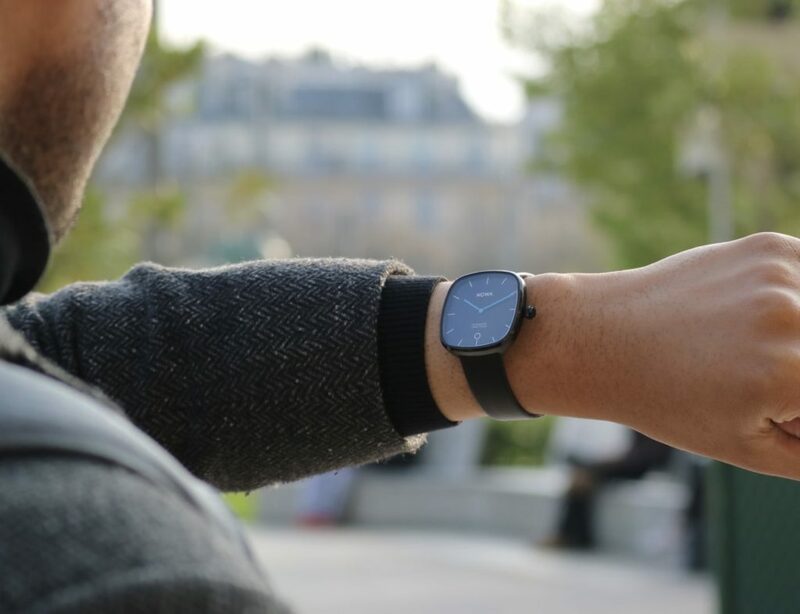 The device also plays music directly from your phone. 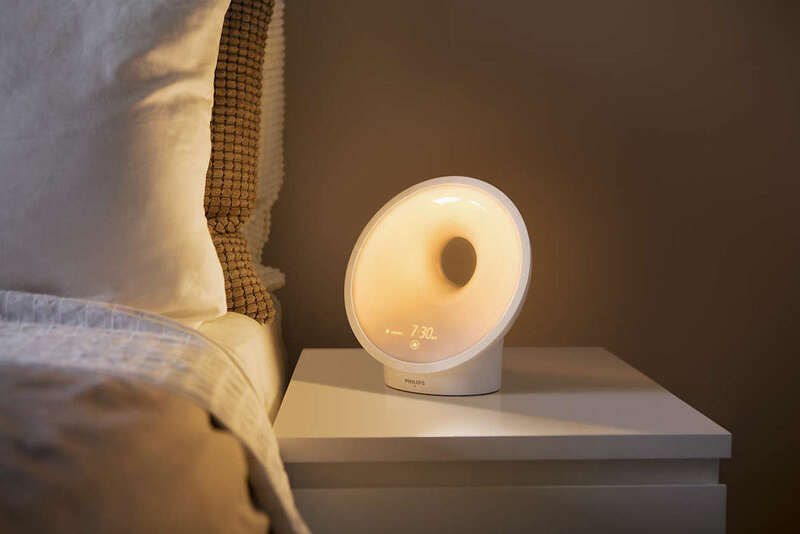 Finally, the Philips Somneo comes with a PowerSnooze option that helps you stop unhealthy snoozing habits.